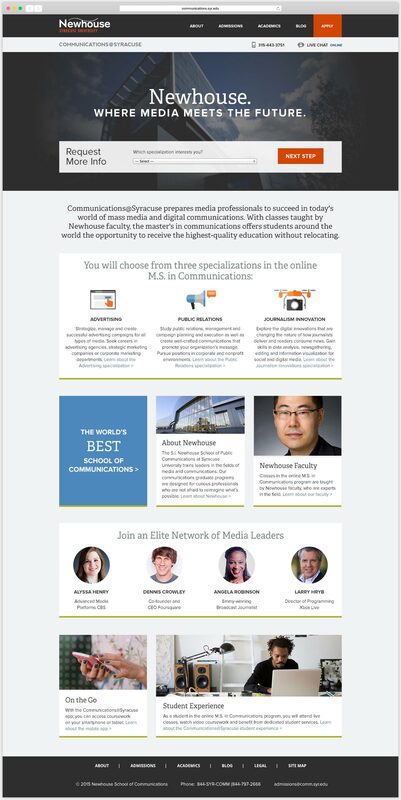 Website design for the online Master of Science in Communications program from S.I. Newhouse School of Public Communications at Syracuse University. 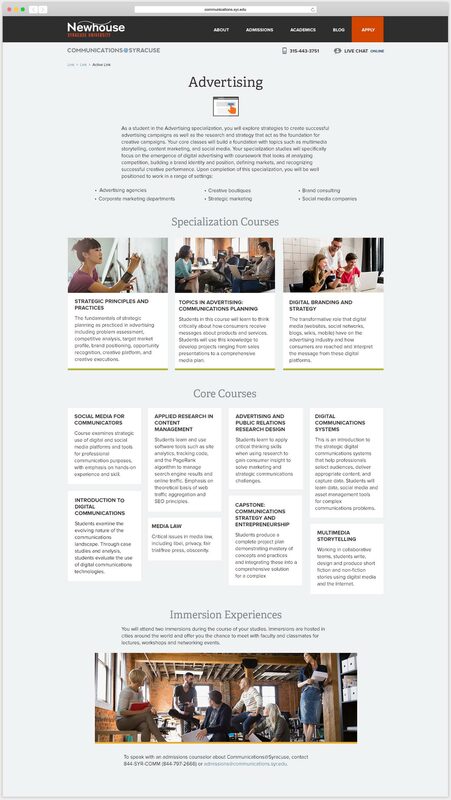 The strong grid and bold colors are inspired by the school’s identity and website. All content © 2019 Claire Smalley. Website design by Claire Smalley and developed by Matt Ballard.